If you have been feeling a bit under the weather, not so much sick as just in need of a little TLC, or if you feel like you need a little boost, then a healing soak in a tub is just what the doctor ordered. Therapeutic baths can help reset your equilibrium, calm the mind, and help you remove toxins, all with no effort at all! Therapeutic baths help you to relax while gently balancing your system. If you have ever checked out any health spa menu then you know that there is a mind staggering amount of different types of soaks available. From anti-aging to weight loss to detoxification, the available variety is amazing. However, for most people, enjoying a soak at a health spa is a treat for special occasions and not something you can do on a regular basis as they tend to be quite expensive. 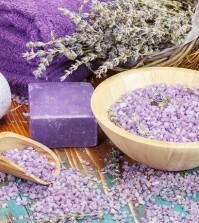 The good news here is that you can make your own restorative bath at home! Literally, for pennies, you can detoxify the body, alleviate health problems, relieve stress and ease muscle tension. It’s much easier than you think and it’s as close as your own private bathtub. Try to take two or three baths per week to help eliminate health issues and/or to lower stress levels. Always remember to neutralize the chlorine in your tub water by adding about two teaspoons of vitamin C to the water and mix well. If you live in an area where they add fluoride to the water and you don’t have a whole house filter, add about 3 tablespoon of Borax to the water to help eliminate the fluoride. 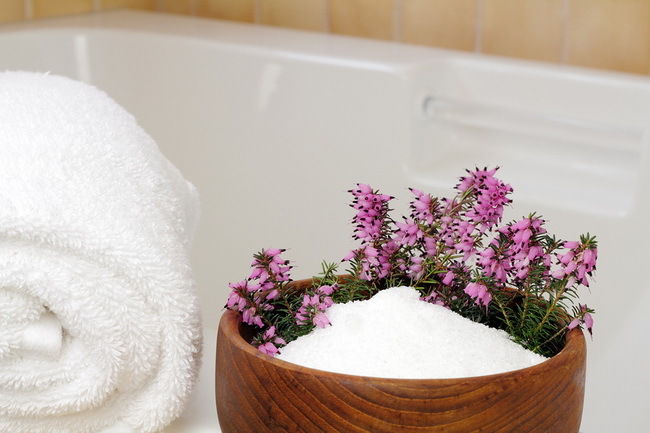 Keep reading on how you can recreate a healing spa therapeutic bath in your own home. Seaweed is super rich in minerals and support hormonal balance. 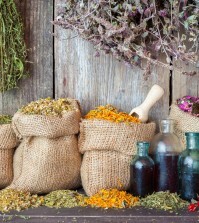 It also supports the proper function of thyroid and adrenal glands. Seaweed is a truly excellent ingredient for a therapeutic bath but don’t run to the nearest beach and pick up some seaweed off the shore, just go to your local health food store and pick up some dried kelp or dulse seaweed. Add about 4 ounces of dried seaweed to a large sized tea ball and place in a pot with about 8 cups of boiling water. Cover and simmer for about 30 minutes, then remove from the heat and pour everything, including the tea ball, into your tub. Add additional hot water and soak until the film from the seaweed completely dissolves off your skin. Heavenly! Clay is fantastic for gently pulling heavy metals from your body; it’s one of the best detoxifying agents you can find. Fill your tub about halfway with very hot water and then sprinkle about 5 pounds of Pascalite, Inland Sea, Redmond, or green desert calcium bentonite clay into the water. Allow to sit for about 15 minutes, and then add enough water so the temperature is comfortable for you. Be sure you have enough water so that you can submerge up to your neck. For beginners, soak for about 15 minutes. Add about 5 or 10 minutes of soaking time to each bath after the first one until you feel comfortable soaking for about 2 hours. Don’t worry, clay won’t clog your drain or hurt your plumbing.